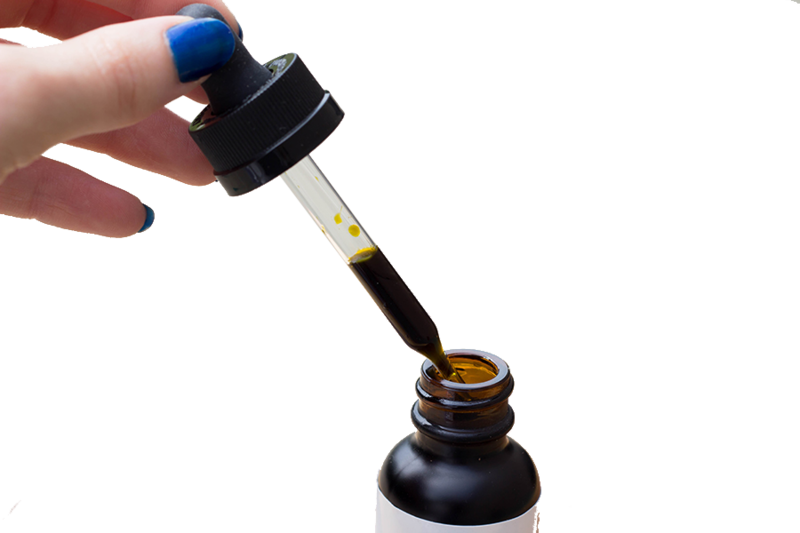 Tasty Drops is a hemp oil tincture formulated with full-spectrum phytocannabinoids (CBD, CBDa) for a stronger than ever concentration. Enhanced with synergistic terpenes from various plants such as hemp and clary sage. 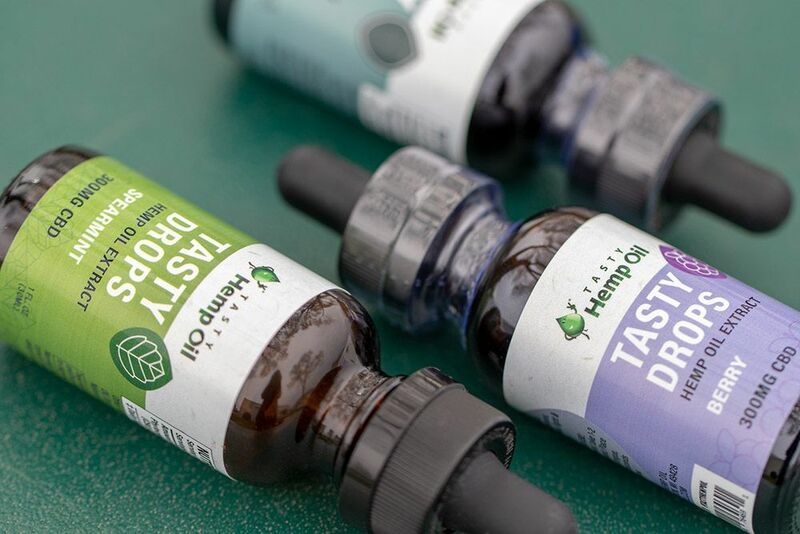 Tasty Drops is the best-tasting hemp oil you’ll ever meet. This product is handmade and lab tested in small batches to guarantee a fresh and potent product every time, from our farms to your family. If you’ve tried other raw CBD hemp oil supplements before, then it won’t come as breaking news that it’s very earthy and raw tasting. While some may enjoy that natural taste —which is why we offer a natural Tasty Drops version— others fair far better with naturally flavored Tasty Drops. When you’re bearing sensitive taste buds, having that added flavor makes it easier to maintain your daily CBD use. With Tasty Drops, gone are the days of dreading the taste of your CBD Oil supplement. Each bottle of Tasty Drops is made 300mg or 1,000mg CBD/CBDa from raw hemp oil. Our CBD oil is cleanly CO2 extracted from the hemp plant and left in its raw form, which contains a full-spectrum phytocannabinoid profile. Our raw hemp oil is not only rich in full-spectrum cannabinoids, it features a proprietary blend of terpenes. These compounds are derived from various plants such as hemp, clary sage, and…well, every other plant in our world. Terpenes make up a large class of organic compounds responsible for the unique smells, colors and palliative benefits of different plants. When terpenes are combined with hemp’s natural cannabinoids, they offer a powerful synergy of phytonutrients that you won’t find anywhere else. The Tasty Hemp Oil team is passionate about hemp, something we hope is evident in every Tasty Drops batch. We’re dedicated to maintaining high safety and quality standards in our laboratory and customer support. Are you curious why hemp works the way it does? Let us explain the basics. 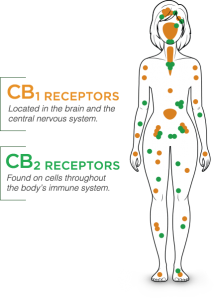 We all have an endocannabinoid system, which consists of receptors located in our brain and central nervous system, among other areas. Hemp-derived phytocannabinoids —like CBD— interact with these receptors for various benefits. The ECS is believed to support many biological processes that keep us in a balanced, neutral state. Our bodies naturally produce endo-cannabinoids on their own (i.e. anandamide) to support the Endocannabinoid System (ECS) when our body starts to fall out of balance. However, when we aren’t making enough, that’s when phyto-cannabinoids heroically swing into the picture. They very similar to the compounds our body naturally makes, so it’s effortless and natural to supplement with hemp-derived CBD oil. Our recommended serving size for Tasty Drops is 30 drops (1/2 dropper full) once or twice per day. Everyone is different, so you may choose to experiment with a higher or lower CBD serving size until you find the perfect amount for you. Hemp oil tinctures are non-intoxicating with no reported harmful side effects. Tasty Drops comes in a 1oz (30ml) bottle with a convenient dropper top that gives you full control over how much you’re taking. At the recommended 1/2 dropper serving size, you’ll get 6.42mg CBD. There are 47 servings per bottle. We carefully developed our flavored CBD oil drops to provide the best aroma possible and suppress the hempy taste you’d find in an unflavored variety. However, we still offer our natural (unflavored) option for those who prefer it.